In an article in The New York Times, Marilyn Suzanne Miller (an original writer for Saturday Night Live and author of How to Be a Middle-Age Babe) outlines the ennui and discontentment of the Baby Boom generation who have become used to the attention and buzz surrounding their changing activities and identities. Do you remember Hostess cupcakes, The Man from U.N.C.L.E., the SATs, the civil rights movement, free love, and the downfall of Richard Nixon? Baby Boomers do. The cultural landscape of America was transformed and renewed by this generation. Their numbers were so large that the spotlight shined on them through much of their lives as they set trends in music, clothes, hair styles, and movies. But now, according to a report from PewResearch.org, millennials have officially overtaken Baby Boomers as America's largest generation. 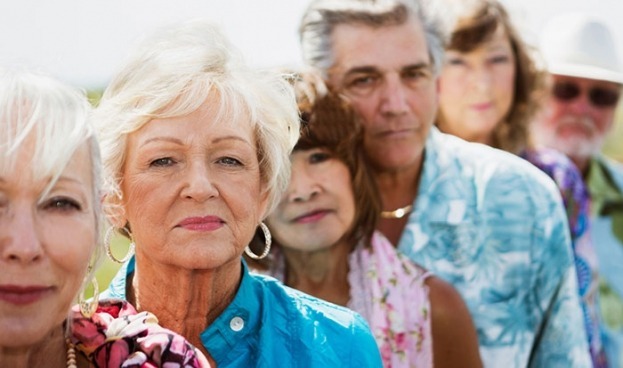 Those who are between 18 to 34 years old now number 75.9 million, surpassing the 74.9 million Americans ages 51 to 90. Used to feeling "special," millions of middle-agers are caving in under the strains of retirement, the health insurance mess, the death of parents, and the imagined perils of the future. And to add to their discontent, they feel snubbed by the movie industry, TV, the music business, even clothing designers. Years ago, Carl Jung asked, "Are there schools for forty-year-olds to prepare them for the second half of life?" It sounds like the Baby Boomers needs some re-education. The soulscape of middle-age followed by elderhood is challenging them to polish their ability to change, to improvise, and to exercise their hearts, minds, and bodies.